What to ask when choosing a cloud backup provider - Columbus, Grove City | Arnet Technologies, Inc. Many businesses nowadays are making the smart move of getting cloud-based storage and backup solutions for their data, thanks to the growing popularity and reliability of such services. For many enterprises, it is an opportunity to hedge on certain risks such as local server failure, natural disasters, and the like. Getting on the cloud backups bandwagon isn’t a simple leap into the void, however. Don’t rush into choosing one, as there are several financial and operational impacts to be considered. Not all providers are good fits for your business, and it would be best to clarify what commitments you will have with one another. Pricing is one of the first things managed services clients look into; this isn’t out of the question, considering most small- and medium-sized businesses (SMBs) have limited resources for non-core-operations expenditure, such as IT services. Prices can vary from one managed services provider (MSP) to another, so it’s smart to find one that fits your budget but can still meet your needs. Many MSPs offer managed IT packages that provide several interconnected services, including storage and backups, in a neat subscription-style pricing model. Find a provider that is transparent with their services, especially with how they charge their clients. Be wary of year-long contracts with lock-in periods that can tie your business down, as they can grow or burden your business with too many costs during lean periods. Data restoration can take a while depending on the volume of data and the quality of your internet connection, but reliable cloud backup solutions should have measures in place to make recovery as speedy as possible. A good MSP will understand that every minute of downtime is money lost. Observing how they respond to this question should give you an idea of how they will respond to a real recovery case. It is typical for many cloud or colocation storage providers to offer cybersecurity services apart from their storage and managed IT services, so you must ask about the specific protocols and products they use to protect their clients’ data. Most MSPs will take any opportunity to flex their cybersecurity muscles, so be prepared to list down everything they say. Be on the lookout for specific jargon and technical terms, such as the use of the CSA (Cloud Security Alliance) stack model or Brokered Cloud Storage Access (a method for isolating storage in the cloud). Don’t be intimidated by these terms. Seek assistance from a cybersecurity or data integrity expert if you can avail of one. If it sounds tedious, and it may very well be, take no chances and always remember that additional information is a simple Google search away. Customer support is a key consideration when it comes to selecting a service provider. You should expect round-the-clock support as attacks, failures, or simple errors may occur at any given time. 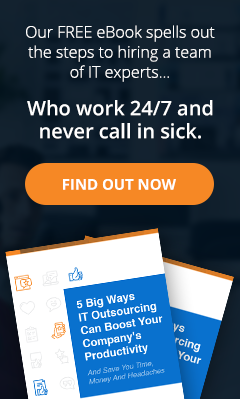 A truly robust MSP should be able to offer you customer support access online, by email, or by phone, 24 hours a day, seven days a week, including public holidays. You may also wish to inquire about average response and resolution times and to what degree they automate their response systems, if any. Arnet Technologies — a Veeam Cloud & Service Partner — serves up a robust cloud IT services package. Cloud Connect is a fast and highly secure solution for storing and managing data. Get in touch with us for more information!